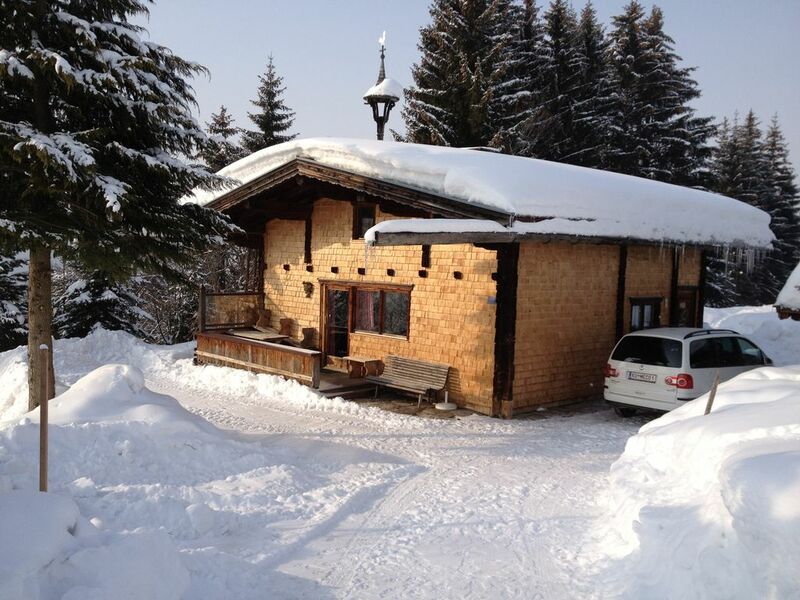 This romantic and spacious mountain lodge is located slightly off the Krinbergweg in Kirchberg near Kitzbühel. It is easily accessible by car in summer and in winter. A south-facing terrace offers a magnificent view of the Rettenstein and invites you to barbecue and a nice, cozy get-together. There are 7 beds and in addition a smaller bed and a cot (160cm) made of wood. Bed linen and towels are not included, but can be offered on request. (Per bed € 10, towels € 5 / per.) A cozy tiled stove and a small kitchen with an old wood stove, two ceramic hobs (electric) and a bathroom with shower and toilet provide a good comfort. The living area of the cottage is equipped with a large couch. The hut itself is about 1-2 km next to the secured ski slopes. For experienced skiers, it is accessible via gentle slopes with the skis. From the hut you can reach the valley station of the gondola lift Pengelstein1. In spring, summer and autumn, the beautiful mountain landscape around the hut offers many destinations for hiking and excursions. It is thus a relaxing and beautiful holiday nothing in the way. The cottage is located at an altitude of 1220 masl. Beautiful mountain hut in the Kitzbühel Alps in Kirchberg in Tirol. Near the secured ski slopes of the skiing area Kitzbühel. For experienced skiers To and from the hut with the skis possible. In summer an idyllic hut as a starting point for many activities. A place for uh, rest and relaxation. Beautiful view of the Rettenstein.